For anyone that wasn’t sleeping under a rock for the recent past few years, the sheer speed that the Tesla Model S P100D – with the Ludicrous mode engaged – is capable of delivering right off the line is well known. On the other hand, the VW I.D R made its first and seemingly long-lasting impression a few months back, when it took down the fastest lap time at the Pikes Peak Hill Climb event. For the most part, these two couldn’t be more similar, albeit completely different at the same time. Both feature a similar dual motor setup and both are fast. Really fast. When you compare the two, on first glance, Tesla (somewhat surprisingly) comes with an advantage. The Model S comes with a dual motor setup delivering 760 horsepower, while the same setup in the Volkswagen I.D R Pikes Peak delivers 670 horsepower. Torque wise, the difference is even more pronounced. The Tesla plays the all-too-familiar tire screeching sonata at the tune of 722 lb-ft of torque. On the other hand, the VW I.D R will utilize “just” 479 lb-ft of torque. 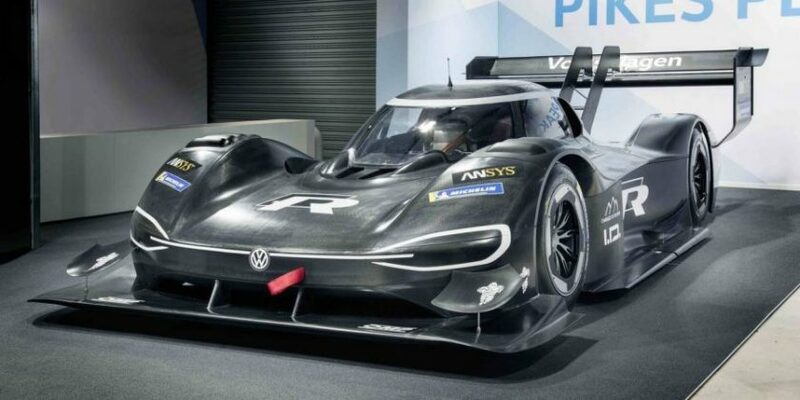 However, the VW’s racer weighs a little over a metric tonne (2,204lbs) – less than half the weight of the 2,241kg (4,940lbs) Tesla P100D. Clearly, these two cars couldn’t be more apart. However, the timings of a civilian, road ready and everyday use oriented electric car, gives us a feeling that Pikes Peak will never be won by an ICE (Internal Combustion Engine) car ever again. Simply put, the sheer power and the traction exerted by a dual electric motor setup, paired by the complete immunity of the electric car to the altitude, paired with the relatively short sprint that is the 12.42-mile course at Pikes Peak, makes us confident that the future has arrived and it’s here to stay.